Friday 18 May, 4.45pm – 6.30pm. The event will commence at 4.30pm, before sunset, with activities for children and an architectural light show programmed throughout the evening. 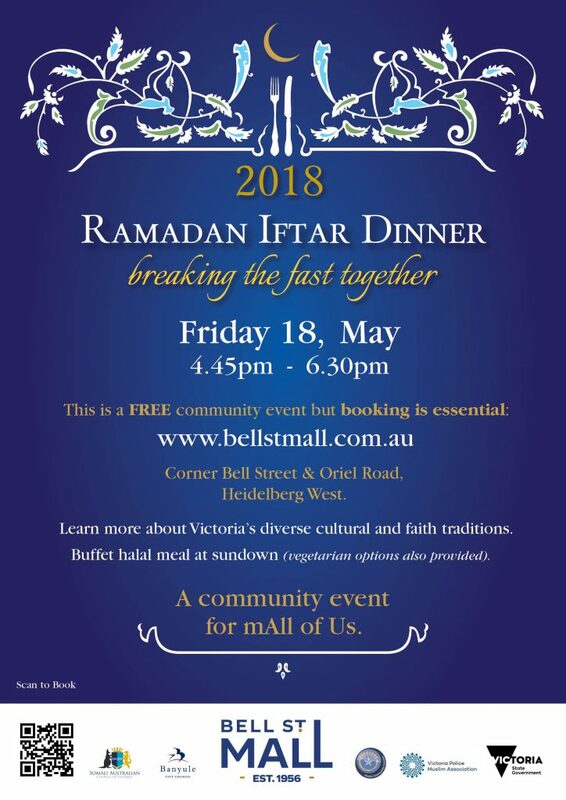 A delicious buffet halal meal produced by Bell Street Mall traders will be provided from sundown, with vegetarian options available.